Close your eyes and think of the word, “paradise.” What do you see? 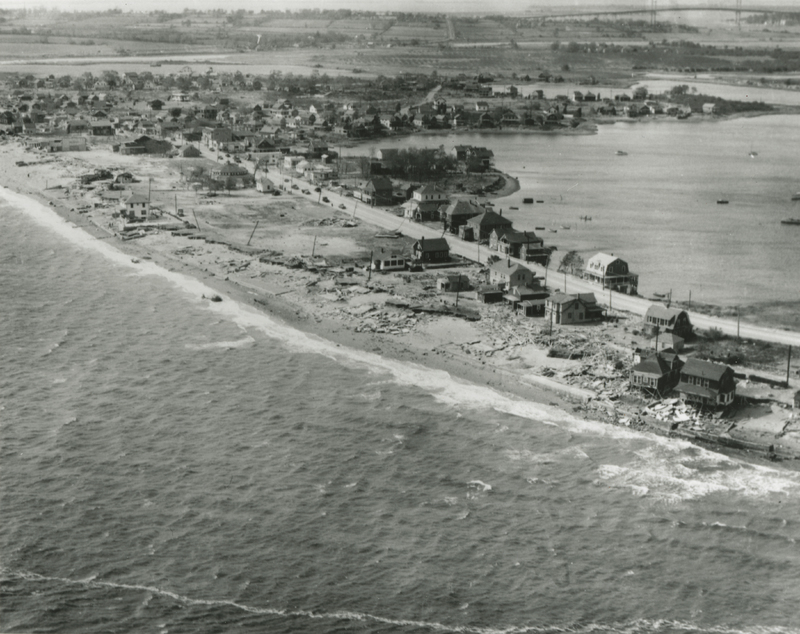 For many Rhode Islanders in the late 19th and early 20th century, they would picture Oakland Beach. Oakland Beach is found in Warwick, Rhode Island, where one can still enjoy its sandy beaches to this day. 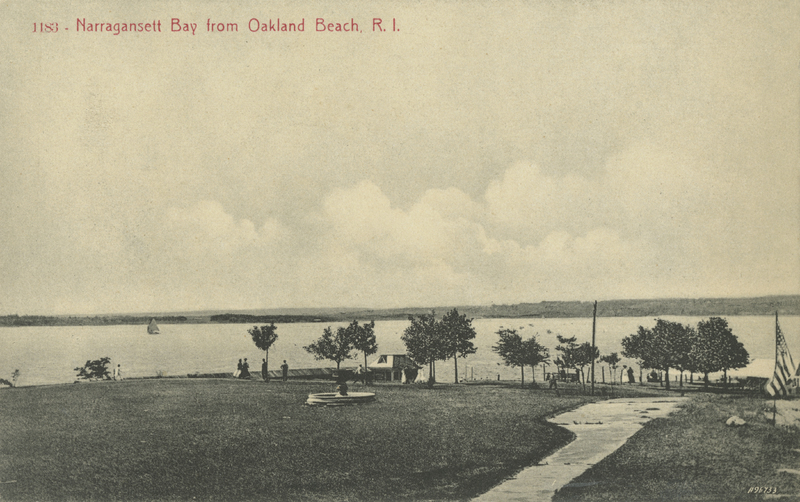 Advertisements in the late 19th century declared Oakland Beach to be a haven of sorts, calling it, “The Eden of Narragansett Bay!” and, “The Modern Paradise.” But Oakland Beach was also an entertainment center, briefly with amusement park attractions. Such attractions included a roller coaster and one ride known as the “Tumble Bug.” In fact, Oakland Beach is close to where Rocky Point, the better-known amusement park of Rhode Island (and the next stop on this tour), was in Warwick. The two were rivals until around 1930 when the amusement park portion of Oakland Beach shut down. 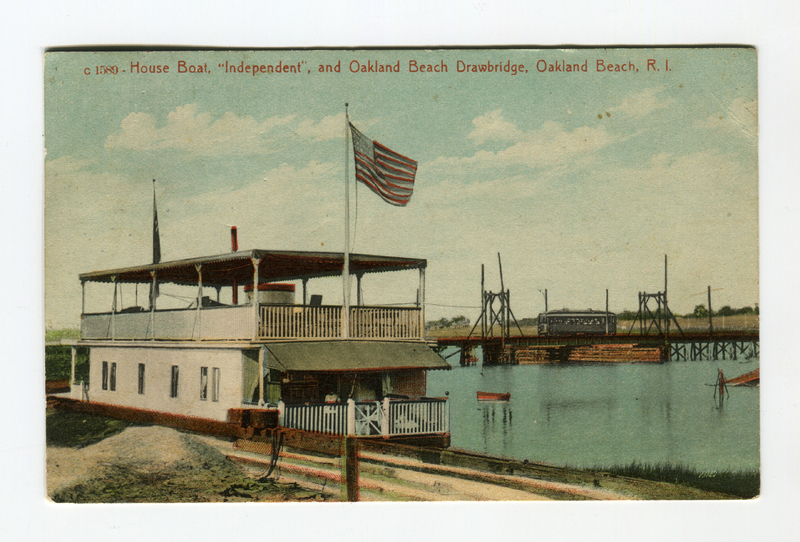 But even without rides, Oakland Beach remained a beach destination. A pamphlet for the 16th Annual Oakland Beach Festival in 1999 contained several ads for restaurants (mainly seafood), a marina, and condominiums along the coast. Amenities on the beach like the ones advertised helped make Oakland Beach a popular tourist locale. 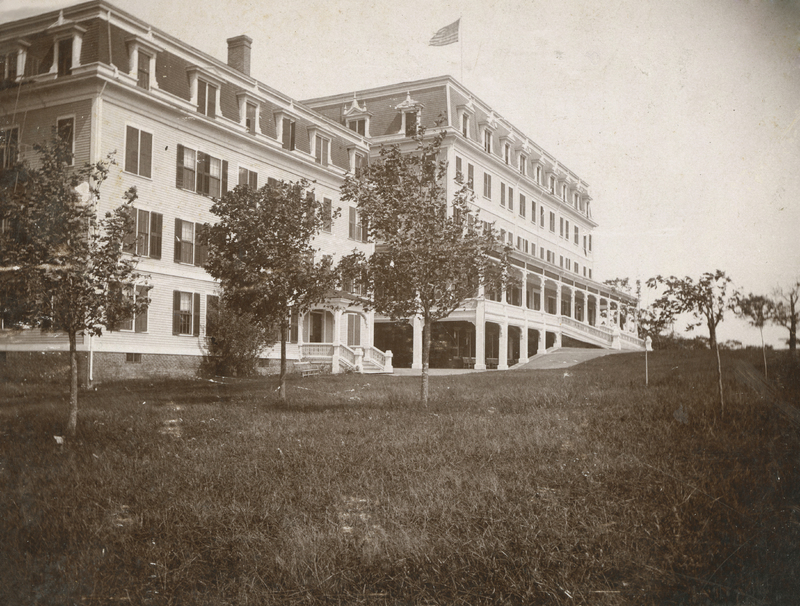 The Oakland Beach Hotel provided lodging for visitors until the early 1900s when it burned down. Today, Oakland Beach is one of the most visited beaches in Rhode Island. Oakland Beach Ave, Warwick, RI 02889 ~ Admission and parking costs may apply. 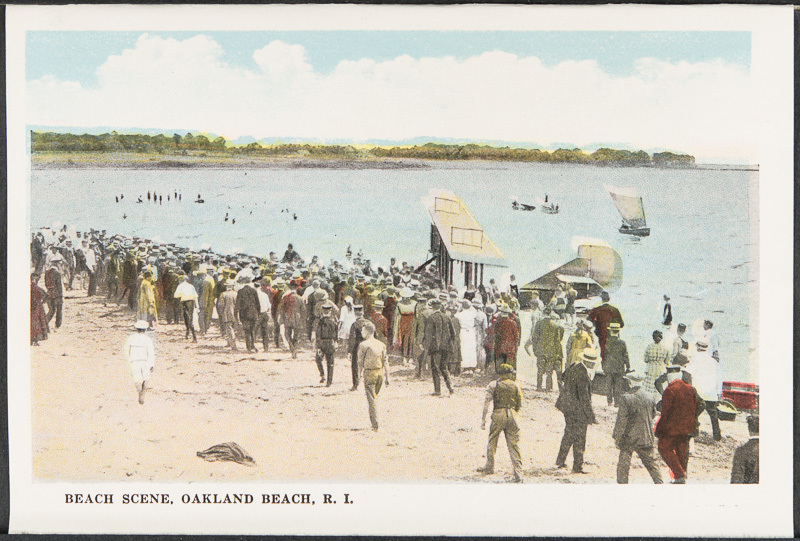 Janie Merrick, “Rhode Island’s “Paradise” Oakland Beach,” Rhode Tour, accessed April 23, 2019, http://rhodetour.org/items/show/334.